The Psalmist invites us to "sing a new song" (Psalm 96) Jesus speaks of new wine skins replacing old ones. I have a New Revised Standard Version and and a new New International Version of the Bible. The new quickly becomes old and so we exchange the old for the new. I like new things, but sometimes we get caught up in chasing the latest and fail to appreciate that which lasts and lasts. Martin Mary isn't new. He's been teaching, preaching, writing, longer than I've been a live. So he has some sense of the passing of time. From that vantage point he takes up Rob Bell's "New American Christianity." Marty doesn't take a hard edge on the matter, as he appreciates much of the vision, but he raises questions about the audience (is it spiritual by not religious folks?) and what will be the enduring legacy of his efforts? As a historian with emerging church sympathies who has enjoyed reading Rob Bell's books, including Love Wins, these are some of my question also. Yes, what will endure as the new emerges out of the old? Take a read, consider the thoughts here and offer your own. The public media evidently cannot get enough of “The Hell-Raiser,” as Rob Bell is called in the current New Yorker, or the harbinger of “A New American Christianity,” as announced in the subtitle of James K. Wellman, Jr.’s robBell. Bell, of course, is the former mega-church pastor in Michigan who wrote the best-seller Love Wins: A Book about Heaven, Hell, and the Fate of Every Person Who Ever Lived. That book divided the evangelical communities as it questioned their beliefs about eternal punishment. Polls show that few Americans who believe that there is a place or situation called hell go on to see its existence as any kind of threat to them. But they don’t want to abandon the belief. The statistics and sensation resulting from Love Wins led to the desertion of the “Mars Hill” church by thousands of members and prompted restless and creative Pastor Bell to move on. As Wellman tells it on page 1: the pastor since “worked on a hybrid talk show featuring religious and spiritual content,” its theme derived from Bell’s unpublished novel Stronger. It failed to be piloted, despite its being produced by influential producer Carlton Cuse. Sightings treated Love Wins twice in August 2011, so we need not revisit the themes. What interests us now is the model for disseminating the Christian message and acting up its injunctions to be just and to love. There is no doubt that Bell is adept at inventing forms for these ventures, but, as he denounces more staid and conventional forms and burns churchly bridges behind him, he has not stood still enough for sustained followings to have developed. He often comes across as a loner, though he is working now with a group of fifty adepts. Many lines show his appeal to the “spiritual-but-not-religious” cohort, the “go-it-alone” spiritual entrepreneurs. So we follow him into newness. An interest: decades ago the word “New” appeared in my first book title and in ten books edited with colleague Dean Peerman. They have since become old-new and in some cases are more old than new. We chronicled valuable experiments and creative achievements which had positive effects. Is it the right moment now, however, to note that criticism of the established Christian institutions for not keeping up with the Zeitgeist, the “spirit of the times,” matches the Zeitgeist. The “emergent church keeps emerging,” yet many of its “newnesses” are seen as settling in and settling back along with “conventional” religious observances of old. 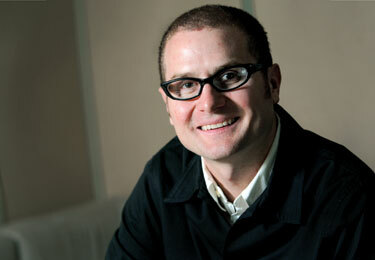 One dismisses a Rob Bell at peril, because he generates so many ideas, takes so many risks, and issues valid criticisms. But what will come of all this? The profiles we are quoting tell us that he has changed pace, appearance, and interests. He now goes surfing off the California coast, and is as devoted to the fifty-member mini-church as he was to the mega-church. The old styles against which he rebelled certainly deserve examination, critique, and in many cases, abandonment. But Christianity and its religious counterparts were not developed with just the present generation in mind, kinetic as it is in style and digital in its favored literary constructions. The inherited forms, though in need of revision, in any case often speak with an authenticity that demands some patience, while the quickly formulated and celebrity-endorsed versions may go as they came. One hopes Rob Bell sticks with some promising inventions long enough for him and us to see that while “Love wins,” “new” is less likely to. Kelefa Sanneh, “The Hell-Raiser: A megachurch pastor’s search for a more forgiving faith,” New Yorker, November 26, 2012. James K. Wellman, Jr., robBell (Nashville: Abingdon Press, 2012). Martin E. Marty, “Who Wins? Two Books about Heaven and Hell,” Sightings, August 15, 2011. ---, “Hell Reappeared,” Sightings, August 22, 2011. We present here a portion of Davis' essay (from the volume, American Christianities), which won the LGBT Religious History Award from the LGBT Religious Archives Network (RAN). As an introduction to that excerpt, we present Davis' talk in accepting the award. Read the talk here.